BC’s iconic Martin Mars water bomber is the biggest seaplane in the world. 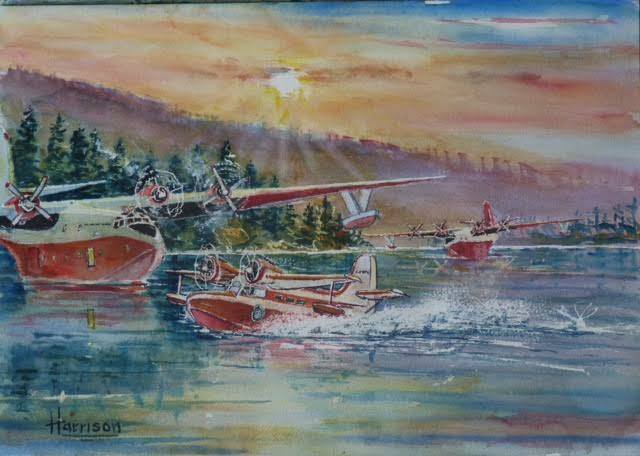 And few people know more about the big red airplane than Gabriola artist, local historian and forest engineer, Doug Harrison. 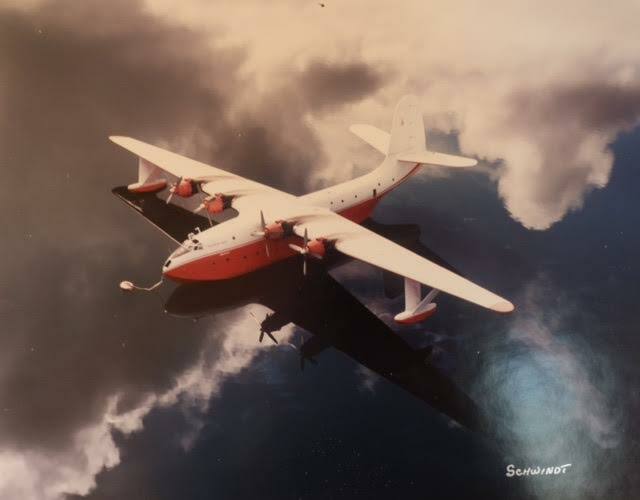 Harrison will launch the Gabriola Museum’s 2016 Talk Series with a multi media story about the Martin Mars water bomber at 7 pm on Thurs, Feb 25 at the Hive Emporium in the Folklife Village centre. As a professional forest engineer, Harrison spent much of his career fighting some of the most devastating wildfires on Vancouver Island, including the notorious 1967 Taylor River fire. It burned through more than 5000 acres of timberland before threatening to destroy the town of Port Alberni. Even as people in Port Alberni were being evacuated, the fire was finally stopped by the Martin Mars water bombers that flew through blinding smoke and ash to bring the inferno under control. Gabriolan Stories is a production of the Gabriola Historical and Museum Society. Admission by donation.